The Hornbill festival is a celebration held every year from 1st - 10th December, in Nagaland. It is also refered to as the festival of festivals as different Naga tribes come together and showcase their cultural heritage through this festival. One can see the display of different Naga cultures, their food, their traditional attire, dance forms, fight forms and much more. Along with these there is a variety of competitions right from food, to music to literary events. If you are brave enough you can also participate in the chilli eating competition and get a flavor of the bhut jolokia or ghost pepper, one of the hottest chillis in India. In terms of lodging Kisama has some decent homestays where you can lodge during the festival, but they are very limited in number. - Another option is to stay in Kohima, the capital of Nagaland, which is just 12kms from Kisama while you are at the festival. For other smaller villages, it is better to work with a local travel agent to arrange accommodation. By choosing to stay in Kohima, you can also experience the beautiful night markets during the festival as well as a flavor of local food, music and shopping. For transportation, public transport like buses and shared taxis are available but frequency is limited. Cabs are your best bet to get about the city/towns. Aakash then travels to Mon - the final frontier of India. He shares his experiences in the village of Longwa, which is one of the final villages in Mon before the Myanmar border. Longwa is a village of of the head-hunters, warriors and tribes infamous for cutting off the head of their opponents in war. 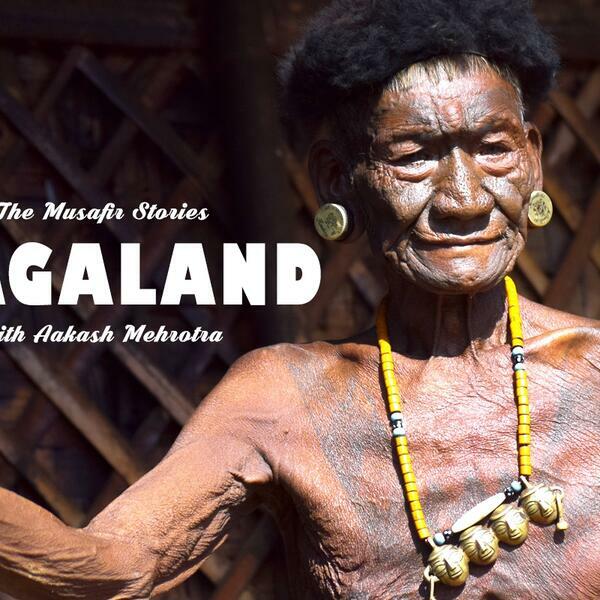 From Longwa, Aakash makes a pit stop at Chuchuyimlang - a village in Mokokchung District which has been converted to a heritage village by the Nagaland Tourism board. As far as food is concerned, most of the Naga cuisine is water based, low or no oil base. Food is mostly boiled and not fried and organic. Sweet potatoes and rice beer are the popular choices among tourists as well. Listen to some amazing stories of experiences with the locals! From drinking rice beer to how the Nagas fooled the British into believing they had guns during the Naga wars! More about the Guest: Aakash Mehrotra is a business consultant and social researcher in the Digital Finance domain focusing on Digital Finance, Livelihoods, Financial Inclusion. Along with this Aakash is a travel writer who blogs under the name Hand of Colors. Aakash's work has been featured in several leading publications such as The Hindu and The Tribune.